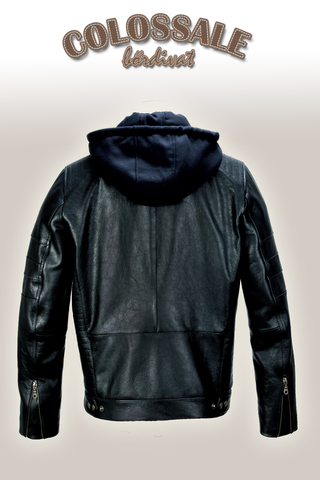 A youthful leather jacket for men what is decorated with steppling on the shoulders and on both sides. 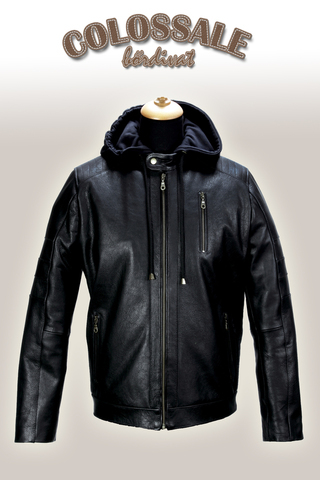 The sleeves can be tightened by zip, the pockets by patents. 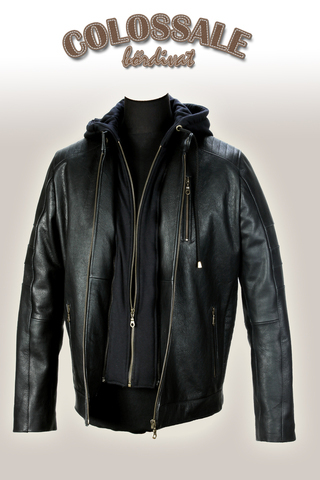 The double inner pocket makes it more practical for the wearer. 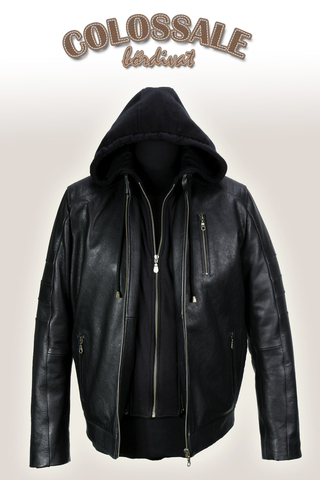 The cotton hood is sporty but because it is removable, it can be wear as an elegant leather jacket, as well. We also make it in your customized size!